Found naturally on shady stream banks in parts of South Wales and SW England. 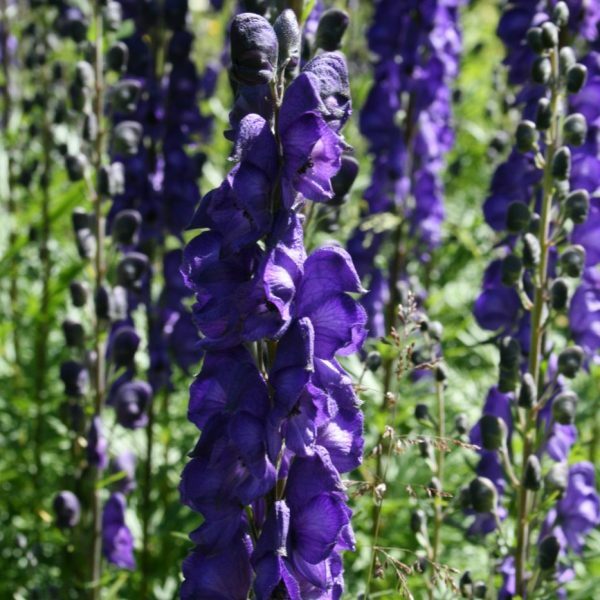 This has handsome spires of hooded light indigo flowers in summer. In the 13th century it was an important medicinal herb used by the Physicians of Myddfai, but highly poisonous. Good in borders, it can reach 5ft.